This is a repost of a blog I posted in January 2016 on another site. This information is still relevant considering baby massage and sunflower oil. At the beginning of November a new piece of research was published which looked at the use of olive oil, sunflower oil or no oil for baby massage. 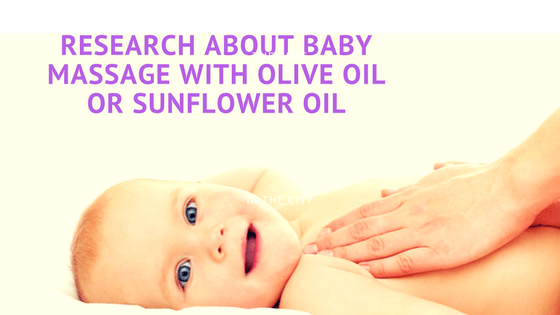 This research has caused several questions to be raised about sunflower oil being used for baby massage. Previous research in 2013 on adults used olive oil, olive oil mixed with sunflower seed oil and sunflower seed oil. The findings showed that olive oil and olive oil mixed with sunflower seed oil was not good for the skin, as it damaged the skin barrier and could exacerbate or encourage skin problems. Sunflower seed oil was shown to improve hydration, not affect the skin barrier or cause reddening or irritation. Following this advice, many baby massage instructors advised parents not to use olive oil for baby massage. – Olive oil is already discouraged for baby massage. 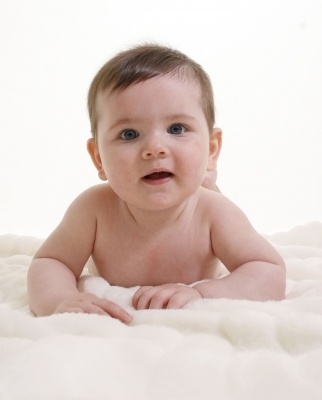 – While baby massage may be carried out daily, it is usually every few days or weekly. Baby massage is not usually twice a day. While on first observation this research is concerning, it is actually not new information. Midwives and health visitors already advise parents with new-born babies to only use water on their babies’ skin. While this research covers olive oil and sunflower oil I would suspect that any oil being applied to the skin before the barrier has been formed may have an effect on it, but further research would be needed with other oils to confirm what oils are good for the skin and which should be avoided. – My baby massage groups begin from 7 weeks of age. For a full-term baby the skin barrier is formed at 4 weeks of age. The research from 2013 suggests that once the barrier has formed sunflower oil does not damage the skin integrity. – Babies who are premature should have their adjusted age taken into account when advising which oil to use. If a baby’s adjusted age would take them below 4 weeks then I would advise to avoid sunflower oil (& ideally any oil) until after the barrier has been formed. – If there is a family history of eczema then a parent should take into account the above information and made an informed choice on what they feel is right for them. – If the parent decides they would prefer to avoid sunflower oil, they may wish to consider alternatives such as grapeseed or calendula (which is good for inflamed skin). This research has caused many questions for baby massage instructors: some may now avoid sunflower oil and some are not disclosing the research to worried new parents, however I believe that ethically I need to let parents know what is being discussed so that parents can make an informed choice that is the right one for their baby. Louise is an holistic therapist who owns Therapy Centre, Bristol BS14 9HB, a clinic offering a range of holistic and beauty therapies. 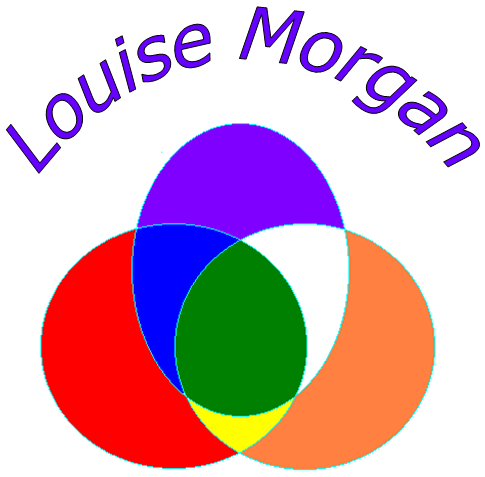 Louise offers reflexology, aromatherapy, aromatology, holistic massage, Indian head massage, reiki, baby massage and story massage.For further information about Louise you can visit her website louise-morgan.co.uk.